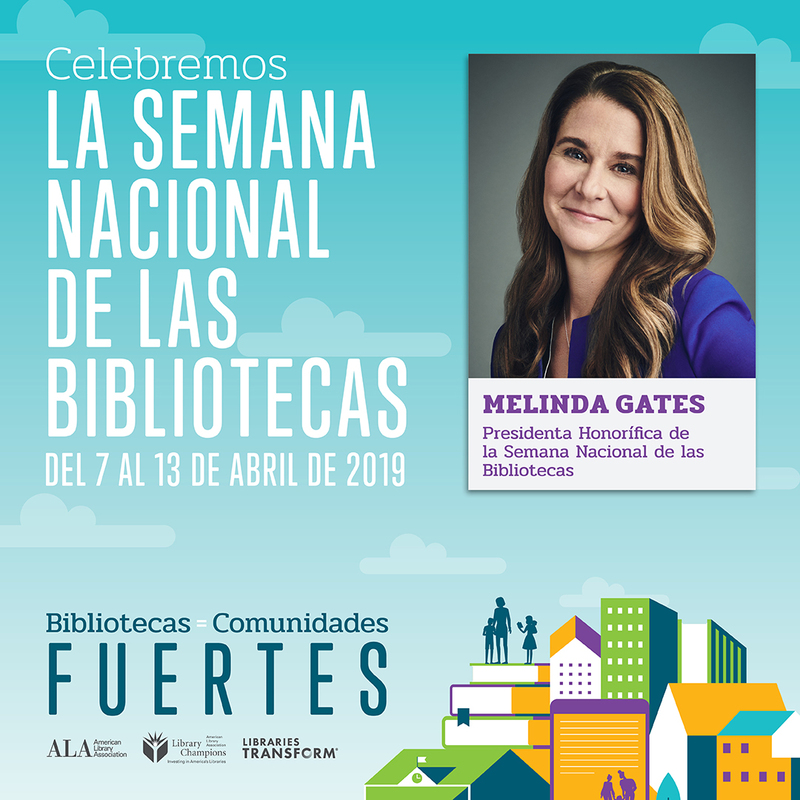 Melinda Gates is 2019 National Library Week Honorary Chair! 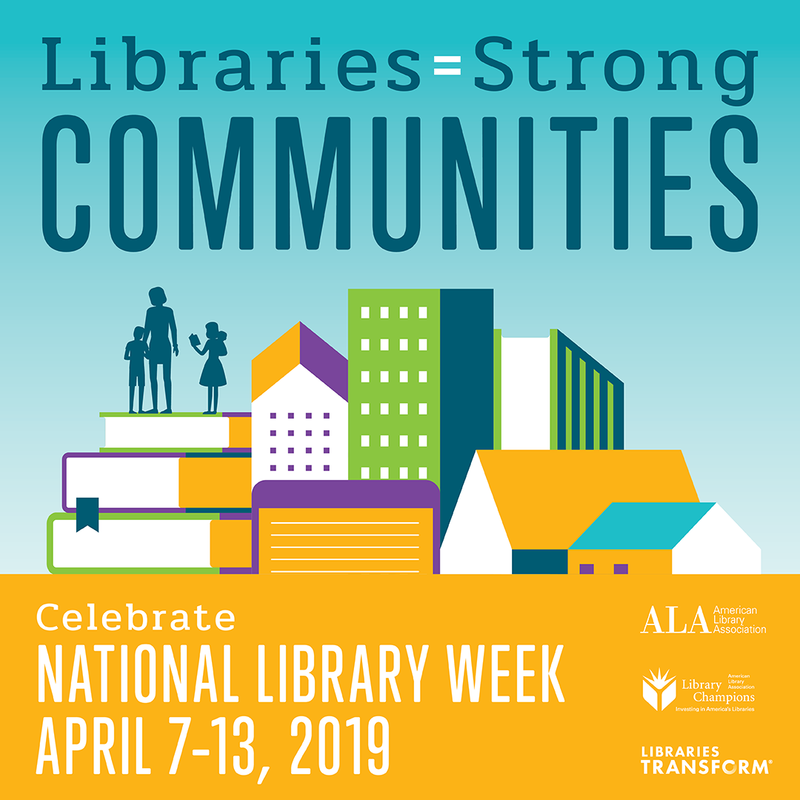 National Library Week is an exciting opportunity for libraries of all types to raise awareness of their value and impact in the communities they serve. Free tools are already available for you to start planning—stay tuned for more great materials coming soon! Thursday, April 11: Take Action for Libraries Day, a day to speak up for libraries and share your library story. #MyLibraryMyStory. Saturday, April 13 is Citizen Science Day, coinciding with the final day of National Library Week. SciStarter has a free guide for how libraries and library workers can get involved. 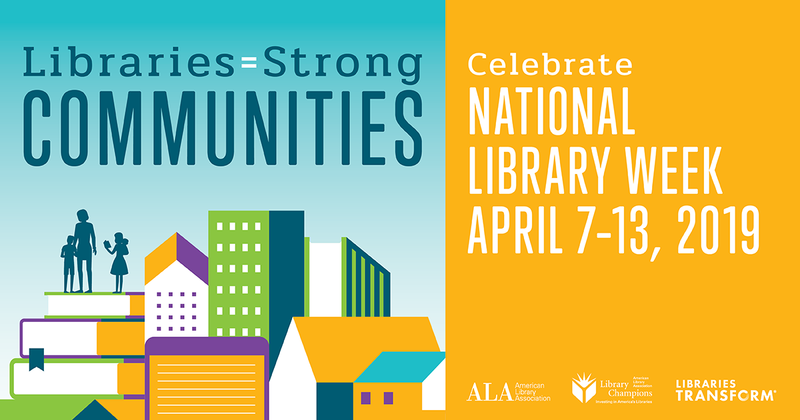 Join the National Library Week Community in ALA Connect to help brainstorm ideas, share best practices and receive up-to-date news and happenings about National Library Week. You'll need to create an account, but ALA membership is not required to join. As part of ALA's ongoing advocacy work, President Loida Garci-Febo is launching the #MyLibraryMyStory initiative on Take Action for Libraries Day. #MyLibraryMyStory is a video and social media campaign that aims to mobilize library professionals and library advocates to create and share digital content about their libraries as a way to engage stakeholders such as city leaders, nonprofits & community members. Librarians, we want to hear how your library helps make your community stronger. Post photos, videos, or text on social media telling your library story, and ask your community to post what they love about your library. 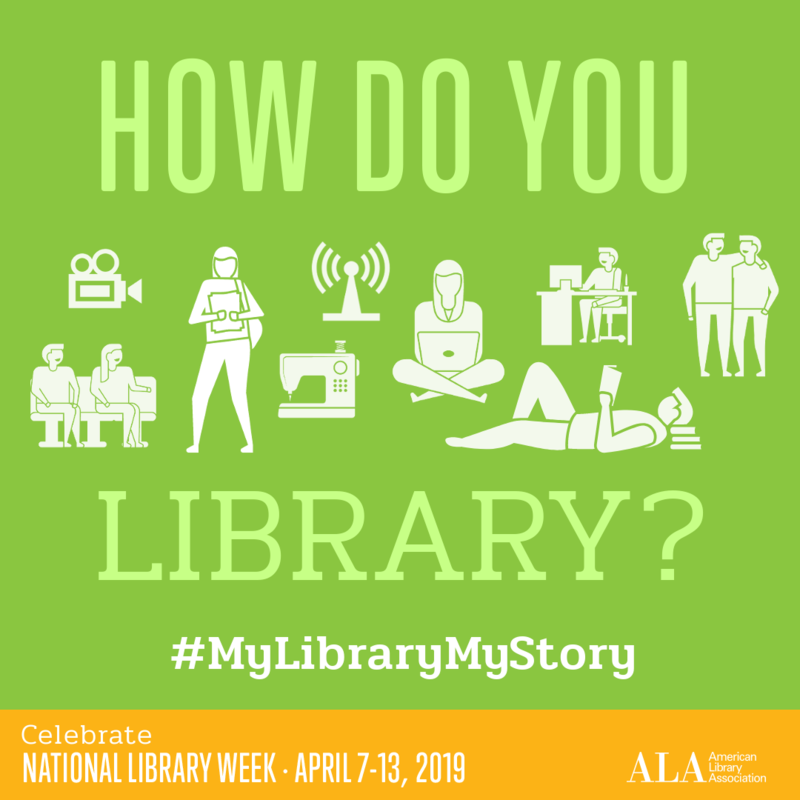 #MyLibraryMyStory is an ongoing initiative, but the creator of one randomly selected story posted during National Library Week (April 8 – 13) will be selected to receive a $100 VISA gift card. Post to Twitter or Instagram with the hashtag #MyLibraryMyStory for a chance to win. The promotion begins Sunday, April 7 at noon CT and ends Saturday, April 13 at noon CT. Telling your library story is a quick, easy way to help your library thrive! Details for librarian participation are on the Take Action for Libraries page. 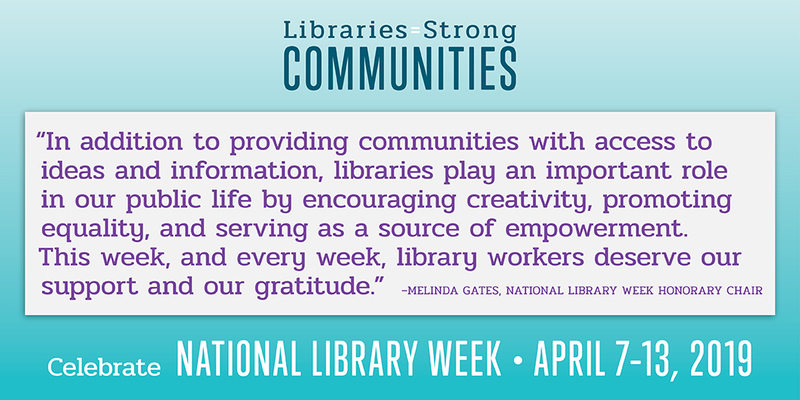 Learn how to customize and make your own National Library Week poster with this quick tutorial! Video messages from Melinda Gates and Emilio Estevez are available. Share them on your social media channels or download them for local use. 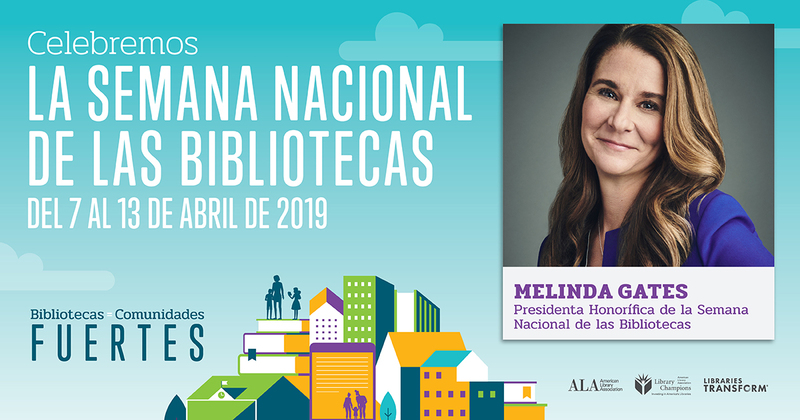 Libraries = Strong Communities is a national advocacy initiative of 2018-2019 American Library Association President Loida Garcia-Febo. Garcia-Febo is touring a series of libraries throughout her presidential year to ignite public awareness about the value of libraries and library staff and create a groundswell of support at the local, state, national, and global level. Follow the hashtag #LibrariesStrong on social media to keep up with the Libraries = Strong Communities tour and related events. Libraries are encouraged to use the Libraries = Strong Communities platform locally to highlight the value of their library and empower patrons to advocate for libraries. Please take a moment to tell us about your plans for National Library Week.